This collaboration was the perfect way to end my trip in Seattle, I worked with some very talented ladies in creating these stunning images. I often feel like people are hunting for indoor locations to shoot and this one was affordable and Jennifer was the kindest owner ever. The place has great windows that give perfect natural lighting throughout the day. The location also included tons of props and space to work with, giving opportunity for photographers and other creatives. 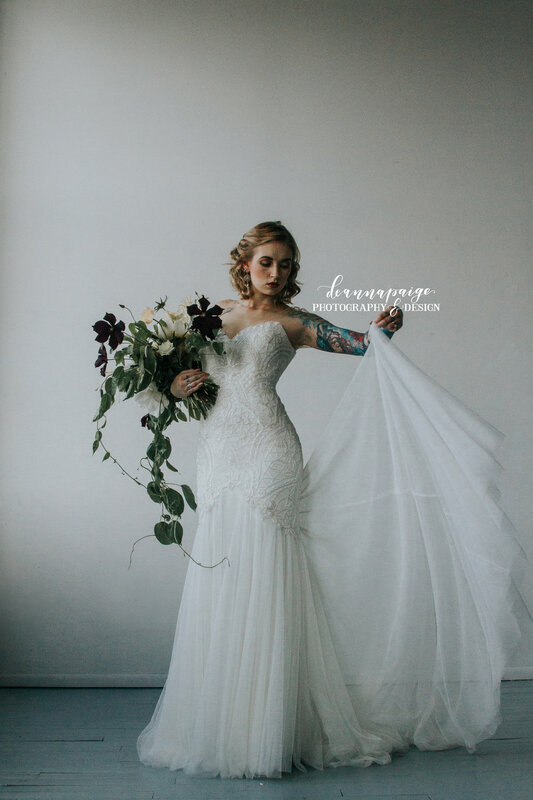 We originally we're going to be doing a 1920's themed shoot with a modern twist but when a dress fell through I had the opportunity to work with another Bridal company, which had a stunning selection of endless dresses. Maybe its just because I love everything about weddings but I would work with all the brides from there any day. I loved working with Lena, she is such a talented and gorgeous model and mother. She is very easy to work with and needed little to no instruction. She is experienced and has face that is memorable and easy to dress up or down, still creating flawless shots. 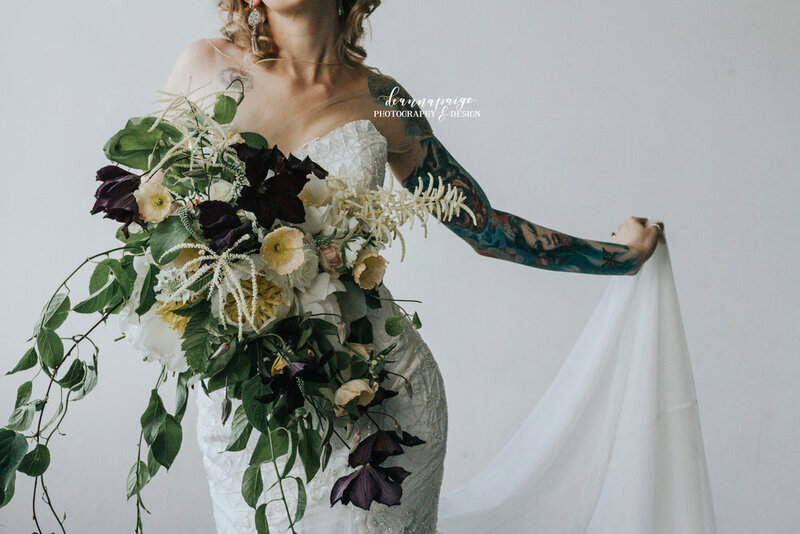 Both Rebecca (HMUA) and Gretchen (florist) really showcased their talents in the colors and final product were better than I would have imagined. Creating the magical touch to these photos. If you'd like to work with some of these amazing ladies I've linked them below.